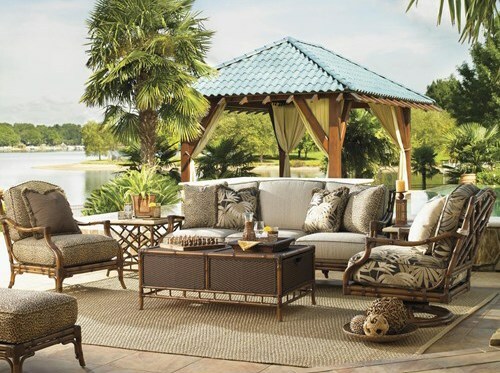 In 1945, Melvin and Lucile Baer founded Baer's Home Outfitters in South Bend, Indiana, based on one simple concept: offer customers famous brands that they can trust, quality craftsmanship and lasting designs at tremendous discounts. It was there, under their parents' loving guidance, where Jimmie, Allan and Bobby were taught the retail furniture industry at every level. 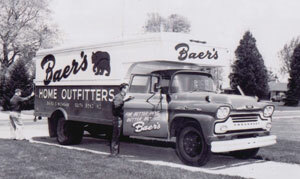 While the family-owned company continued to prosper in Indiana, the Baer's Florida vision started, when Bobby moved to Florida in 1968 and opened the Dania store. 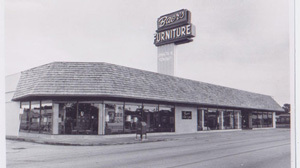 The elder Baers and the rest of the family eventually settled in South Florida and moved the business along with them. Today, Bobby is CEO and Allan is President along with the third generation in top management positions. 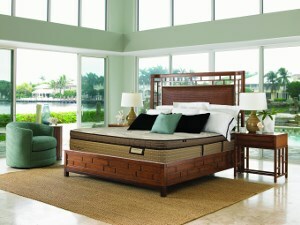 They run a furniture dynasty that now has fifteen showcases and two warehouses. When your company bears your name, there is a special pride in everything you do for the customer and community. 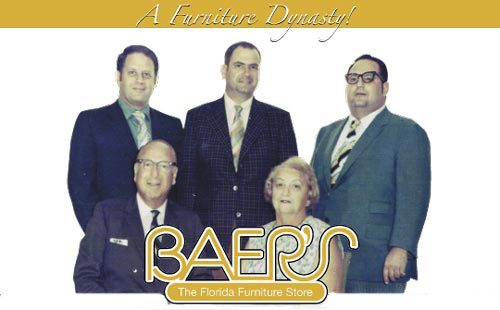 We are proud to continue with our founder's philosophy of making Baer's the finest premier furniture and design showcase.